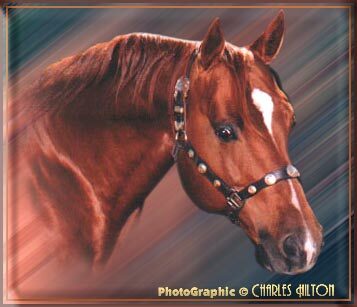 Pobrecito Peppy is a 1988 sorrel stallion born on the King Ranch and branded with the running W. He is one of the last living and breeding own sons of the legendary MR SAN PEPPY, ( NCHA World Champion in cutting in 1974 and 1976 and AQHA World Champion in cutting in 1976 ) out of the old foundation King Ranch bloodlines. He was trained and limited shown in reining and working cow horse. The NFQHA (National Foundation Quarter Horse Assn.) figured him 100% foundation. „Peppy“ stands 14,3 HH and weighs about 1250 pounds. He crosses great on all foundation and cutting bred mares to produce show and working horses. On King Ranch bred mares he produces a gem every King Ranch fan can long for.